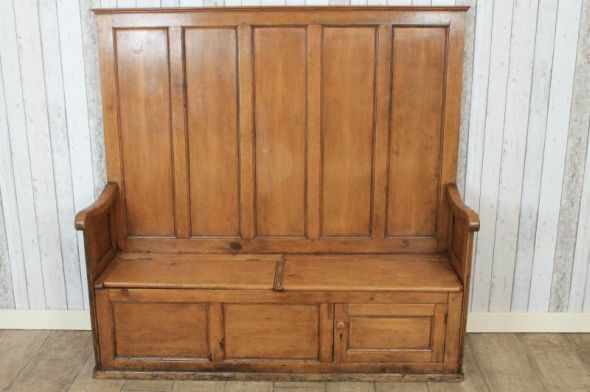 A useful and attractive mid-Victorian country made pine settle. The settle features a tall panelled back design and scrolled side arms. It has a lift up seat and a small drawer to base. The item is in good condition. As you can appreciate, this is an antique item and will show signs of wear and tear. This adds to the charm and character of the piece. It would make an attractive piece of furniture for any large hallway.